Are you planning on taking a trip? Well, before you do, here are some of the top travel packing tips and tricks for travelling in style. First, you need a really good bag to pack all your luggage in. 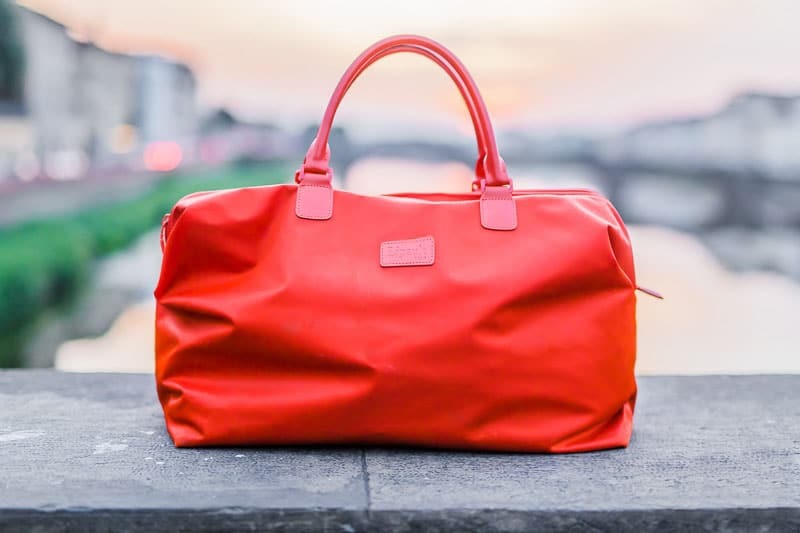 One that is sturdy, has wheels (there is nothing worse than lugging around a 20kg bag) and if you want to save yourself time at the luggage carousel, then choose a bag in bright colours or bold prints – this really helps locate your bag. How many times have you packed far too much clothing for a trip and not worn even half of it? This happens quite often because, as women, we love to have plenty of options. But when it comes to travel packing you can save yourself a lot of time and effort by sticking to a few simple rules. Depending on your destination and the season, pack a capsule wardrobe consisting of ten to twelve items of clothing that are durable, easy to wash and quick-drying, lend themselves well to a variety of different settings, and can be easily mixed and matched. Travel fashion can be a little different from your regular day-to-day clothes, in general you want to leave the high-fashion pieces at home and opt for items that are versatile and in neutral, solid colours. For example, if you are travelling to Paris in summer, pack 3 bottoms, 4 tops, 1 jacket (leather is always an amazing option), 1 skirt (A-line is a flattering and tasteful style), and 1 dress. Then add two pairs of shoes. When it comes to travelling it’s often very impractical to pack heels because you will be doing a lot of exploring and walking around. So, unless you plan on catching taxi’s everywhere it’s best to leave your heels at home (or bring one pair so that you can create a more dressy look for the evening) and opt for flats instead – nothing is worse than spending your vacation with blisters on your feet. Although the Sports Luxe trend has once again ignited our love for sneakers, pointy toe ballet flats or ankle boots are a better and more feminine footwear choice. Don’t forget accessories. Something as simple as a statement necklace, a sun hat, a handbag (we’re loving fringed accessories at the moment) and a nice scarf can instantly transform your travel look from drab to fab. Often airlines charge you more for a checked bag, so it’s easier and cheaper to just bring a carry-on bag. 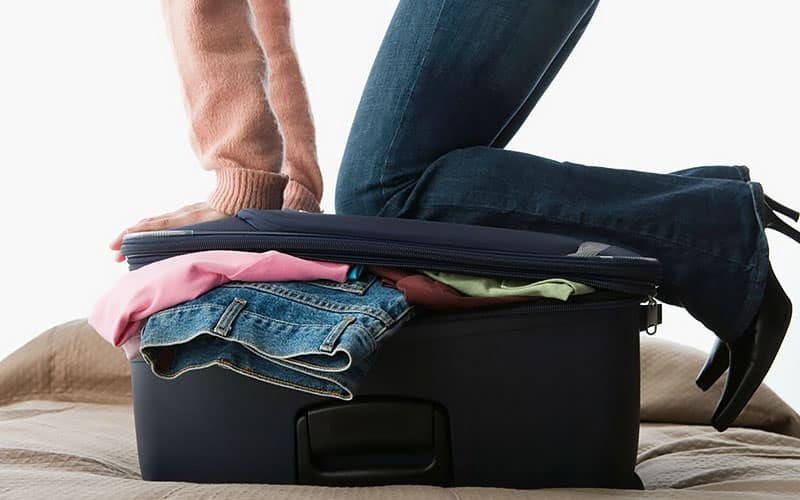 However, some airlines impose weight restrictions on your carry-on bags, and all have liquid restrictions; so before you leave home consider these simple tips on how and what to pack. ● Don’t forget to pack something warm for the plane. The temperatures can often drop and it’s always a good idea or have a warm pair of socks and a sweatshirt handy. ● Ensure that your liquids meet the airline requirements and that they are packed into a clear, zip-top bag – they should include a mini toothpaste and toothbrush, lip balm, hand cream, face wipes and a mini deodorant. ● Make sure that all your valuables and electronics are well-protected, and that the cords of your laptop or phone chargers are not tangled. Place them in your shoes, in spare sunglass cases or in a little plastic zip-lock bag for safe keeping. ● This is pretty self-explanatory, but be sure to have your passport, itinerary, wallet, cash and cards all close at hand. ● Aircrafts can get particularly noisy (crying babies, snoring man next to you and engine noise) so you may want to consider either a pair of earplugs or some headphones to drown out the unwanted noise. ● Folding your clothing is not the best way to pack. In order to save space you should always roll your clothes (this also prevents them from getting wrinkled). If you want to ensure you keep them in place then put an elastic band over them. ● Although it’s always best to travel with clothes that do not tend to wrinkle easily, if you are travelling with something that does then place it inside a dry-cleaning bag or fold them in tissue paper first and continue to pack as normal. ● Bring empty plastic bags for your dirty items or to store your shoes so that the soles do not transfer dirt and grime onto your clean clothes. ● Always pack the heavier items in the bottom part of your bag. ● Get inventive with your storage space and place rolled up socks or tops inside your shoes. Or place breakable items like jewellery or glass bottles inside your shoes for added protection. ● If you have a collared shirt and you want it to stay stiff, then place your rolled up belt in the inside of the collar. And always remember this saying when you’re going traveling: bring twice as much money as you think you need, and half the stuff!